Please find a distillation of yesterday’s Autumn Statement, as seen by CITYWIRE. This was always going to be an Autumn Statement dominated by the plight of the UK economy, as the first since the UK’s shock vote to leave the European Union. The scale of the Office for Budget Responsibility’s (OBR) cuts to economic growth forecasts, and hikes to borrowing estimates, were dramatic. While previous chancellor George Osborne had already announced the dropping of the government’s target to deliver a budget surplus by the end of the parliament following the Brexit vote, today we saw just how much extra borrowing the government will be taking on: £122 billion over the next five years. Growth forecasts were meanwhile cut to 1.4% next year, versus the 2.2% predicted at the time of this year’s Budget, with 2.4% lower growth overall as a result of the Brexit vote, according to the OBR. In the place of the pledge for a surplus came Hammond’s three new fiscal rules: a budget surplus in the next parliament and borrowing down to 2% of gross domestic product by the end of this one; net debt falling by 2020 and welfare spending capped. For those keen to know just how much the Brexit vote was responsible for the poor state of the nation’s finances outlined yesterday, the OBR produced a handy guide. At the back of its 271-page Economic and fiscal outlook document, the OBR included the forecasts it would have been making alongside the Autumn Statement, had the UK voted to remain in the EU. It still paints a worse picture to that outlined in March’s Budget, but borrowing wouldn’t have risen by as much as it now forecasts, and the government would still – just- have delivered on its pledge for a surplus by the end of the parliament. The OBR pinned £58.7 billion of the £122 billion of new borrowing on the ‘Leave’ vote, due to Brexit-related factors such as lower productivity growth and a fall in migration levels. Look through the OBR’s report, and it’s hard to find an aspect of the UK’s finances that hasn’t been impacted by the Brexit vote. Amid all the gloom over the economy, one particular bill the taxpayer could do without is the £26.8 billion loss the taxpayer looks set to shoulder from the bailout of the banks during the financial crisis. That’s up £9.3 billion from the OBR’s last estimate, and marks the second time this year it has been forced to recalculate the value of the government’s stakes in the banks. The government’s 73% stake in Royal Bank of Scotland accounts for the vast bulk of the government’s remaining bank ownership. And the chances of the government making back all the £137 billion it ploughed into lenders in 2008 now looks slim, after heavy falls in bank shares, first in February as markets dropped, then – you guessed it – in June on the Brexit vote. Philip Hammond doesn’t have quite the same penchant for hi-viz jackets and hard hats as his predecessor, but big building projects were just as much a feature of his first Autumn Statement as they were during George Osborne’s tenure as chancellor. The chancellor freed up £23 billion of infrastructure spending to invest in rail, telecommunications and housing infrastructure over the next five years to boost the UK’s output after the Brexit shock. While there were no cries of ‘We are the builders!’ the message was just as clear. Hammond’s handing of additional borrowing powers to local authorities as part of his infrastructure drive may have struggled for headlines alongside the ballooning borrowing and meagre growth forecasts, but the long-term impact could be significant. The chancellor’s move potentially opens the door to a US-style municipal bond market in the UK. Across the pond, investors have flocked to the higher yields and tax advantages of bonds issued by US states, swelling the market to around $3.7 trillion (£3 trillion). At the very least, these new bonds could provide new fixed income opportunities to investors starved of decent yields. Speaking of meagre yields, the Bank of England interest rate cut following the Brexit vote has heaped yet more pain on investors looking for income. Hammond reserved one of his few savings announcements with a small attempt to address this. He said National Savings & Investments would launch a ‘market leading’ savings bond, carrying an interest rate of around 2.2% with a term of three years. But savers will only be allowed to place £3,000 in the bond. Danny Cox, chartered financial planner at Hargreaves Lansdown, said the move was a ‘decent gesture’ but little else. ‘With inflation rising and heading towards 3%, it’s unlikely money in this new bond savings will do anything but go backwards,’ he said. Much of Hammond’s Autumn Statement speech was devoted to allaying fears he would scrap pledges made by his predecessor, with the notable exception of the budget surplus. The newish chancellor stood by George Osborne’s pledge to cut corporation tax to 17% by 2020, though no mention was made of the former chancellor’s post-Brexit comments that the tax could drop to 15% or lower. So too the plan to bring the higher rate income tax threshold up to £50,000 by the end of the parliament. And the ‘triple lock’, which sees the state pension rise by the higher of earnings, inflation or 2.5%, will also stay, although Hammond was guarded about the future. But Hammond wasn’t afraid to make some changes to the legacy handed him by Osborne. 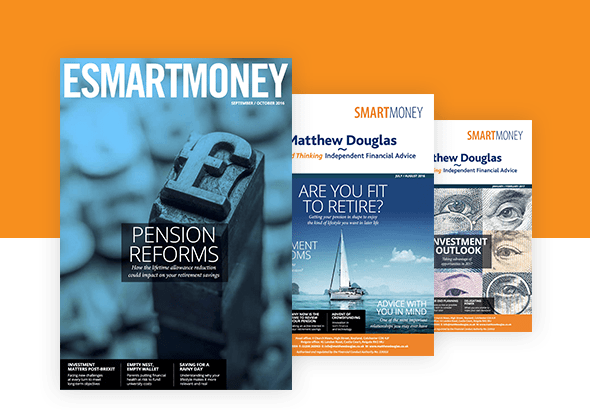 The £10,000 money purchase allowance was introduced to stop people from being able to obtain double tax relief on their savings after the introduction of the pension freedoms – by accessing their pot and then putting the same money back in, receiving the relief again. Hammond has decided the £10,000 figure wasn’t low enough, cutting it to £4,000. The Treasury said it ‘does not consider that earners aged 55 and over should be able to enjoy double tax relief, such as relief on recycled pension savings, but does wish to offer scope for those who have needed to access their savings to subsequently rebuild them’. Where was the rabbit out the hat? Those expecting Hammond to pull a rabbit out of the hat in his first Autumn Statement were left disappointed. Some of the more eye-catching announcements, like bans on pension cold calling and fees charged by property letting agents, were leaked before he stepped up to the despatch box, and Hammond did not match his predecessor’s enthusiasm for playing around with ISA and pension legislation. Savings measures like the new NS&I bond or an increase in the social investment tax relief limit are hardly in a par with the seismic changes made by George Osborne during his time as chancellor. But after years of pensions tinkering, maybe that’s no bad thing. While his statement lacked policy shocks, Hammond did end on a high note, finishing his first Autumn Statement with a pledge to ban the whole thing altogether. Hammond said he would reserve key Treasury policy moves for the Budget, which will move to the autumn. The Treasury will deliver a Spring Statement, but Hammond said this would not contain major policy announcements but review the progress of Office for Budget Responsibility forecasts. Hammond said he wanted to move away from the Treasury making major changes twice a year ‘just for the sake of it’, saying the move was ‘well overdue’.